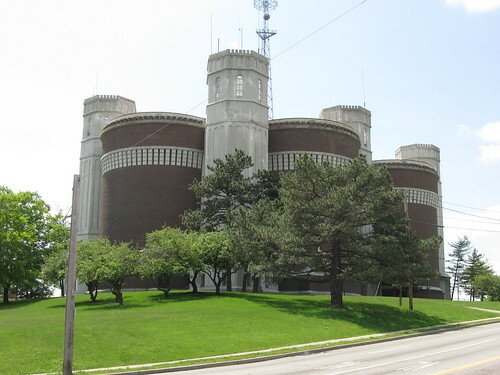 This castle like building is actually a group of seven water tanks camouflaged within a castle shape. 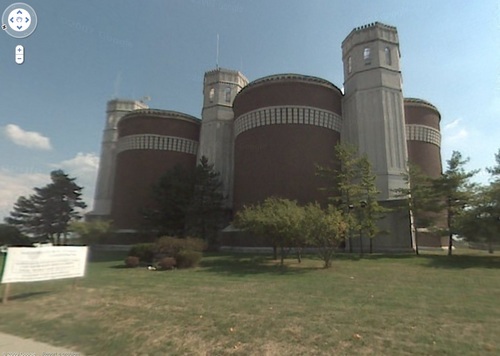 The water tanks were built in 1926-27 and have a combined capacity of 8.5 million gallons of water. Located close to Mt Airy Forest (largest municipal park in America) on the outskirt of Cincinnati, Ohio, USA, the location is highest elevation point in Cincinnati. 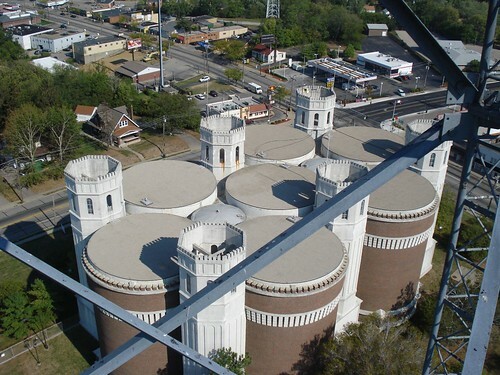 These water towers are less than an half hours drive from my home. I knew them instantly when I saw the first picture. I wish all the water towers looked like that. I agree - with some innovative thinking many water towers can be showcased into something nice and pleasing to the eye.